Professional carpet cleaning companies often charge a lot for their cleaning and restoration services. Most of the time they advertise a price on their coupon or over the phone prior to the arrival of the technician. Then once the technician arrives at the home the price unfortunately tends to change. Prices should only vary depending on the condition of the customer’s carpet. Most of the time carpet cleaning services can be very affordable as long as your carpet is maintained on a yearly basis. Prices will vary depending on the type of services that you need and the square footage of the area you need cleaned. Your best option is to shop around for the best price while looking for promotions and coupons that offer you a discount price over the regular rates. Now if your carpet is extremely soiled and has not been maintained on an annual basis prices will go up depending on the soil levels of your carpet and whether you have animals or high traffic on a daily basis in your home. 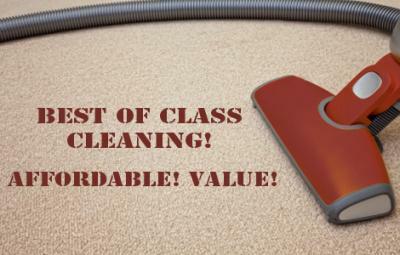 For the most part carpet cleaning can be very affordable if the proper steps are taken in home maintenance alone. Vacuuming consistently will make a huge difference on the indoor quality of your home being that 60% of the soil living in your carpet is insoluble. Dust, dead skin cells, hair, pet dander, clothing fibers, and cement particles are all insoluble soils that settle in your carpet on daily basis. That is why it is so important keep up on the day to day maintenance. Letting these types of soil accumulate in your carpet will end up costing you much more money in the long run, let alone the unhealthy environment the allergens create for you and your family. Remember avoiding paying anywhere from $500-$1,000 to have your carpets cleaned is all about what you do to maintain the indoor quality of your home. If your looking for quality carpet cleaning service at an afforable price and live in Riverside, CA and surrounding areas call 951-787-8787 for a free onsite quote.